My app is in ready for sale state on 13th apr. 2016 but still not reflecting on app store. it's 48 hours complete. In itunes connect it showing Ready for sale and I've not set any Available date for release this version. Check if your countries check box is selected. If not and you want app to be available in your country then select the check box and save the changes. 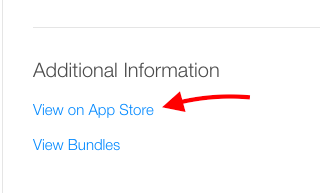 By default your app should be available world-wide, but it's still a valid point. Another issue could be that you still have to sign/agree to the distribution agreement (if it's a paid app). Finally i resolve this by make simple text change in what's new text and save it after 1-2 hours it reflect on app store. Not the answer you're looking for? Browse other questions tagged iphone app-store release or ask your own question.